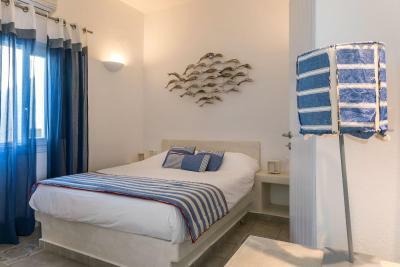 Lock in a great price for Blue Dolphins Apartments – rated 9.3 by recent guests! Andreas as well as the house keepers were amazing going above and beyond! I had numerous questions and there was always someone who answered! The staff were amazing! Dora helped us out with everything we needed and was so lovely. Beautiful views. Incredible views of the Caldara. Wonderful location. Breakfast was delicious. The staff was very helpful. wonderful Place, Wonderful friendly people . staff of the Blue Dolphin were extraordinarily friendly and helpful. I wouldn't miss the place for the world. Highly recommended. I would go there over and over again . The receptionist where the best, they totally help us with recommendations on where to go and what to see. Also they helped with booking our ATV (BONUS TIP: Moving in the island by ATV is the best way) They were really nice and change us to the Cave Suite and it was AMAZING, with a private area to enjoy the view. Breakfast was perfect everyday, a lot of different things and delicious. The hotel doesn't have a pool but you can go to their sister hotel (free shuttle) and enjoy the pool, the amazing view and great food. Make sure you take advantage of this option! This property has a great view of the sea from the public terrace! We were lucky to also have a private patio with a stunning ocean view and lounge chairs! We had the "caverna" room and it is huge and quite unique! Staff was friendly and we were able to use the sister hotel's pool for the afternoon after our check out before we had to catch our ferry. There's a walking path to Fira and also to Oia along the caldera. Breakfast is available at an extra cost. Room has a fridge and they provide a large bottle of water. Staff was helpful with ideas on where to go and how to get there. Great room facing the sea and fantastic balcony view! Breakfast was sent to the door and friendly staff. A little cat was lovely. We were very lucky to have been upgraded to a bigger and spacious room during our stay. Our pick-up service, Marcus was right there at the arrival area soon as we exit the airport. As we arrive early, we were given complimentary breakfast and our room ready as early as 11am wherein usually check-in is at 2pm. The location was center to almost everything but what captured me the most was the scenery you enjoy from our balcony and the quiet place this property can offer. The staff were very accommodating at the same time, the receptionist Theodora and another guy plus Aldo who carry our luggages from arrival to departure. Overall, our stay was made very memorable because of their hospitality. 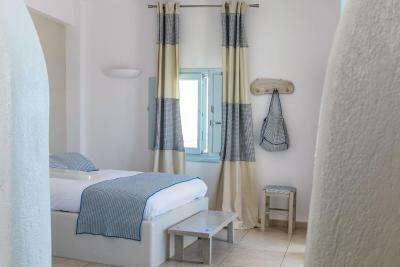 The Cycladic-style Blue Dolphins Apartments is in Firostefani village, just 10 minutes from lively Fira town. 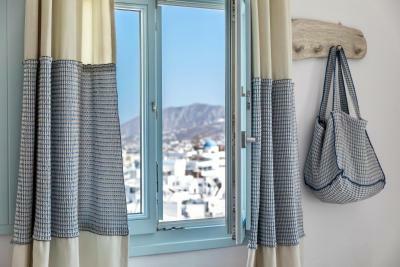 It features rooms and suites with a terrace or balcony overlooking the Aegean Sea. Free Wi-Fi internet access is available throughout the property. 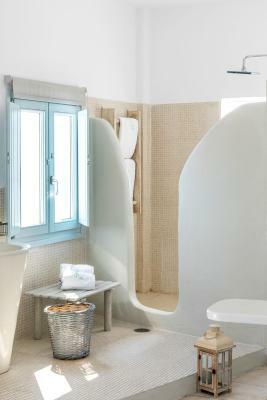 Decorated in soft pastel colors and earthy tones, these bright rooms and suites are air conditioned. They offer a flat-screen satellite TV, minibar, electric teakettle and hairdryer. Some rooms include a DVD player. Daily cleaning service is provided free of charge. A basket with breakfast essentials that includes cake, bread, jam, honey and coffee can be delivered to your room. Guests can also enjoy a buffet breakfast with homemade jams and cake, fruits and other local flavors. Complimentary coffee and tea are available throughout the day. The on-site tour desk can provide information on local attractions and excursions. Massage appointments can be arranged through the hotel for an extra fee. An airport shuttle service is accessible upon request for an additional fee. Blue Dolphins hotel is 6 miles from the closest beach. Free public parking is accessible on site. 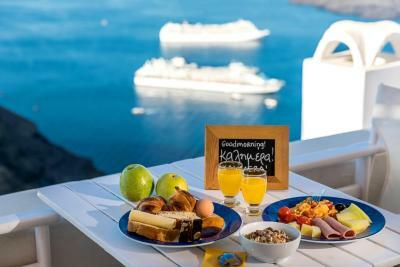 It is 4 miles from Santorini Airport. When would you like to stay at Blue Dolphins Apartments? 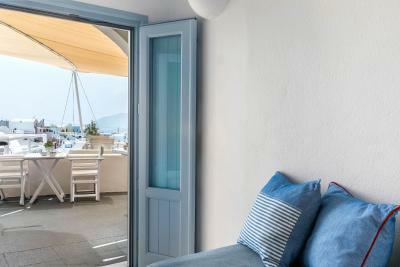 Opening to a common terrace with unobstructed views over the Aegean Sea and the Caldera, this room is tastefully decorated in soft pastel colors and earth tones. 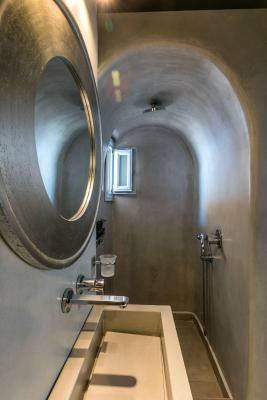 It features a flat-screen satellite TV, a mini-bar, a hairdryer, APIVITA toiletries and coffee/tea making facilities. Free Wi-Fi access is available. Electric kettle can be provided upon request. Daily cleaning service is provided free of charge. 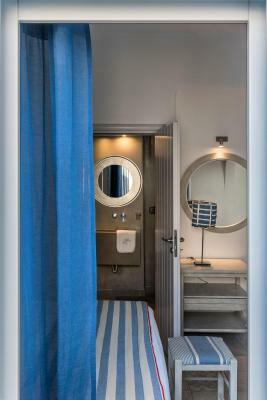 Opening to a private balcony with unobstructed views over the Aegean Sea and the Caldera, this tastefully decorated suite features a seating area. It includes a flat-screen satellite TV, a DVD player, a mini-bar, APIVITA toiletries, a hairdryer and coffee/tea making facilities. Free Wi-Fi access is available, while free coffee capsules for the espresso machine are provided. Electric kettle can be provided upon request. A bottle of local wine and mini bar items are offered to guests upon arrival. House Rules Blue Dolphins Apartments takes special requests – add in the next step! One older child or adult is charged EUR 35 per night when using existing beds. Blue Dolphins Apartments accepts these cards and reserves the right to temporarily hold an amount prior to arrival. 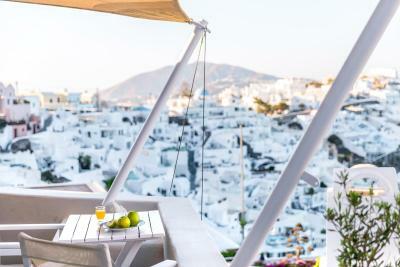 We requested a room with a private balcony, it provided beautiful views of Santorini. The hotel's location is walking distance to all the shopping areas but is in a more quiet area. Rooms are comfortable and decorated beautifully. Breakfast was tasty. 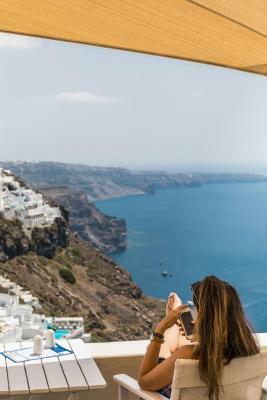 We walked all over Fira and over to Oia but would still choose this location and hotel again. beacuae early morning flight. there is no indoor room for customer to waiting for room. it is cold outside. Breakfast was great, location was excellent. 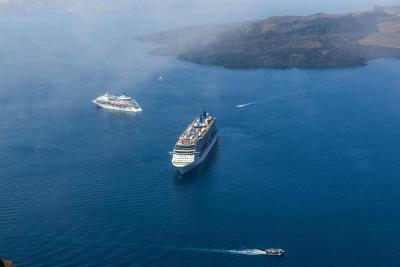 Best views of the caldera and Fira. A bit of walking to the center of fira but thats fine. The location was perfect. Beautiful view of Fira as well as the Caldera. Our host Dennis was great. He met us at the airport on time and was extremely helpful in giving us some tips for what to see and do on the island. Breakfast was lovely and served on the patio with an incredible view (remember to take your sunglasses with you. Very bright with all that white around). Preferred our location to staying smack in the middle of Fira as it was way less crowded. I think just because of the time of year there weren't so many restaurants open near the resort but I'm sure this is not the case in the summer months. We loved everything about the experience. The transport from the airport to the hotel was efficient and started our time on the island really well. The room was amazing, the views incredible and we loved the sweet little black and brown cat that would visit us morning and evening. Nothing, of course. 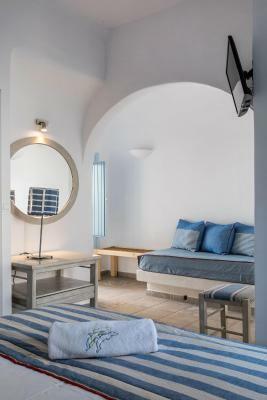 Santorini is wonderful, this accomodation made our experience even more joyfull. Heavenly view, kind and professional staff! Clean and cozy warm (in march). The location is perfect too. We enjoyed the good breakfast outside the room having this magnificent view. Me and my husband had an unforgettably nice time there, THANK you, Dennis! Your attitude is very professional! Sending a lot of regards from us - Irina, Bulgaria. I have no comments about the apartment or service. I was a little surprised by the situation that during my stay most of the hotels about 80% were closed or renovated, closed most of the stores, closed the favorite wine cellar of Santo Wines. My stay February 27-March 2. Polite and friendly service. 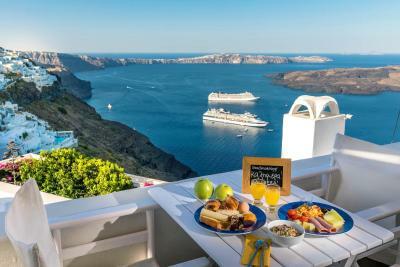 Breakfast was served on the terrace overlooking the caldera, it was good and full. Close to the Ktel stop in Firostefani, 3-4 minutes on foot. A large bed in the room, daily room and bathroom cleaned. On the day of departure I had a transfer ordered at 5.00 in the morning and despite the morning I was not disappointed. 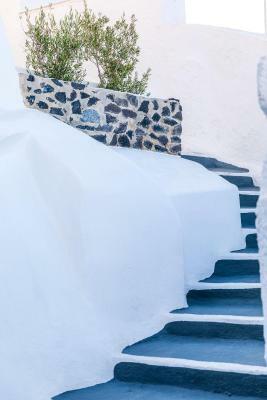 I recommend the surroundings of Firostefani and Imerovigli. Pillow was a bit high. 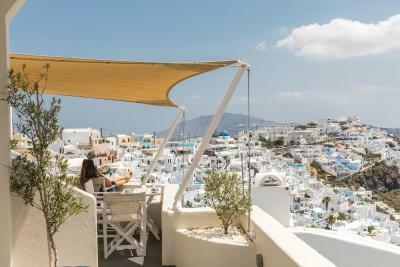 Possibly the greatest location on the whole island, with unobstructed 180 degree views of the caldera and back over the town (in fact more like 200 degree views). It was simply amazing! 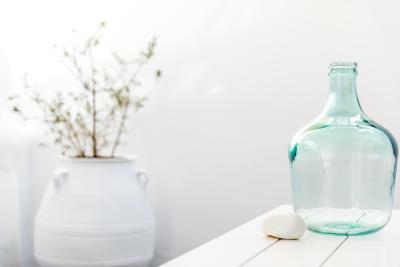 The staff were also fantastic, and extremely kind and helpful, and the room was superbly equipped and sumptuously comfortable. It was one of the best hotels we have ever stayed in, and without doubt has to be the best on the whole island! Quite far from fira bus station.we walked about 20-30 mins..the breakfast is expensive..7.50euros each, so 15euros for a couple, where it is just 2pcs of bread, 2 pcs of croissant, 2 boiled eggs, sponge cake, small cup of orange juice and coffee.. The room was very big..the view was fantastic when you go at their main balcony. There is a motorbike rental in front which is not too expensive compared to others downtown. I think there’s no any thing to complain. The bed was really comfortable and having breakfast in room directly made us feel like well treated.